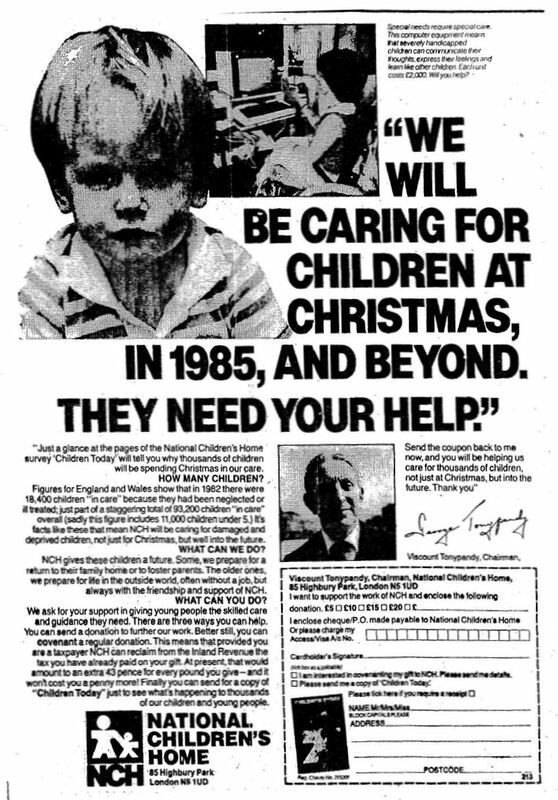 Labour leader Ed Miliband has made a statement saying that the government should get a move on in setting up a national inquiry into organised child abuse. 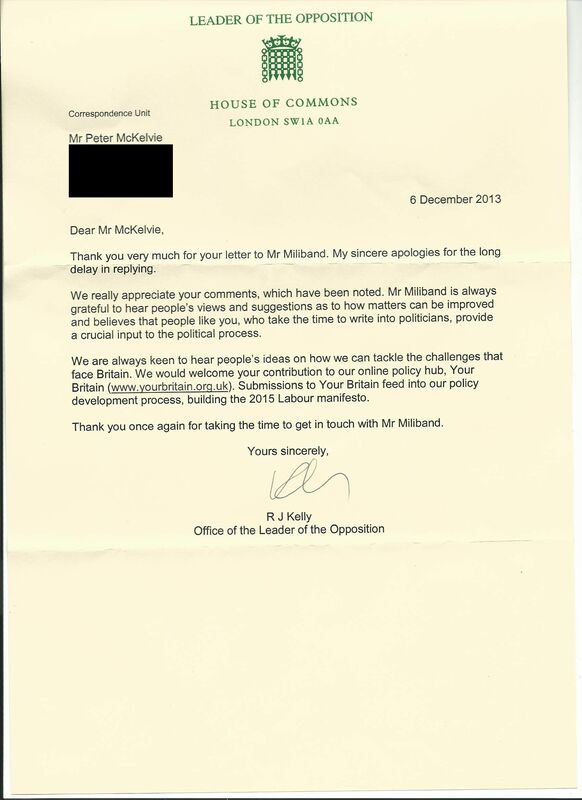 This is in sharp contrast to the condescending and evasive reply that Ed Miliband’s office gave to a handwritten letter from Peter McKelvie demanding a national inquiry, which referred to an open letter to David Cameron (see below). 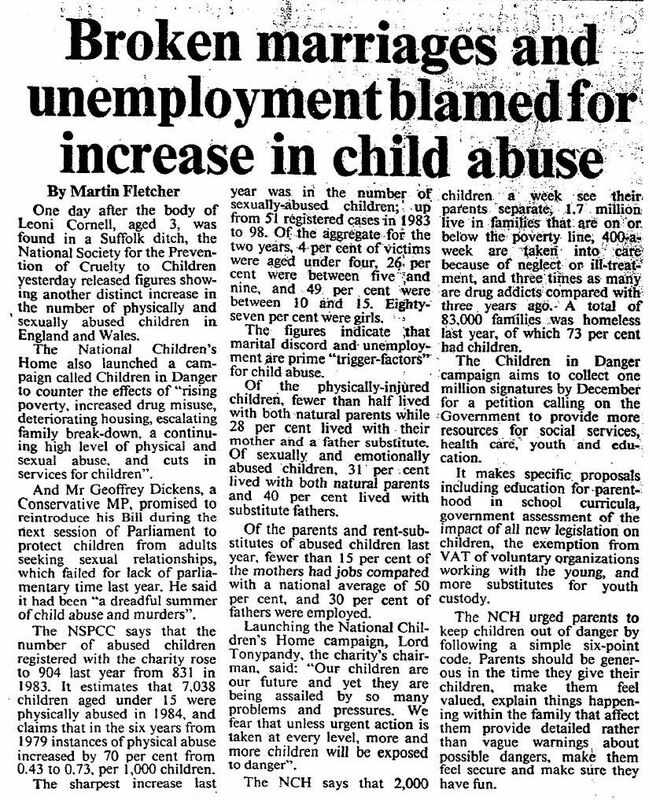 The reply sounds like it’s discussing a complaint about roadworks, instead of decades of horrific child abuse and subsequent cover-ups by people in authority. 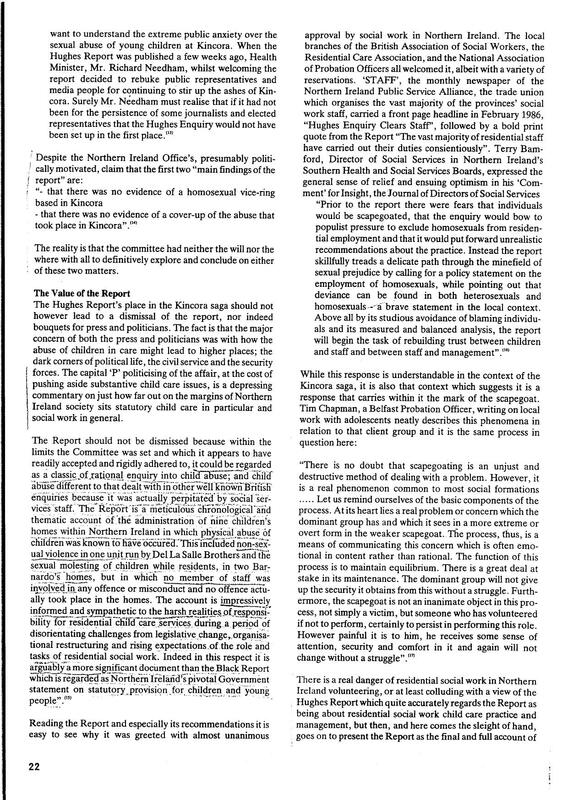 Miliband’s main interest in supporting an inquiry at this late stage seems to be political expediency, after Labour-run Rotherham council has been shown to have allowed 1400 vulnerable children to have been abused, raped, and exploited over a 16 year period. 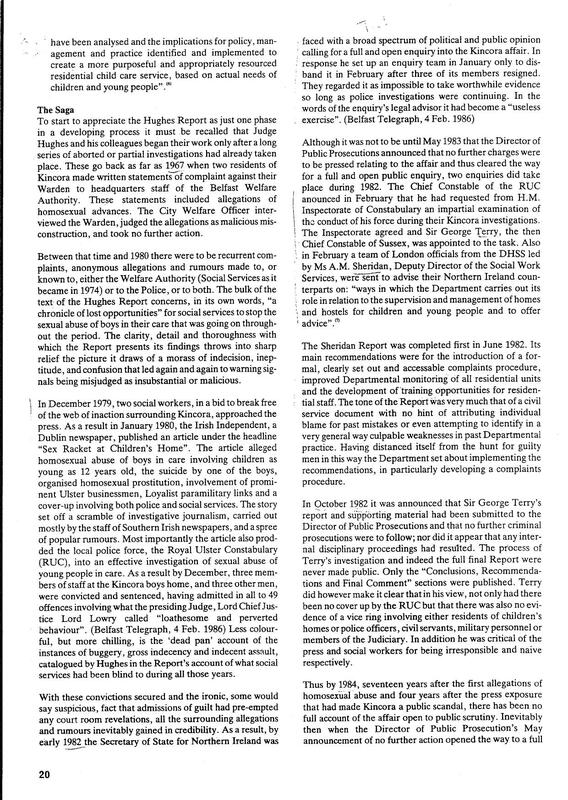 I was given full access by West Mercia police to Righton’s diaries and letters which gave the clues to a large network of Paedophiles with “official ” access to children. 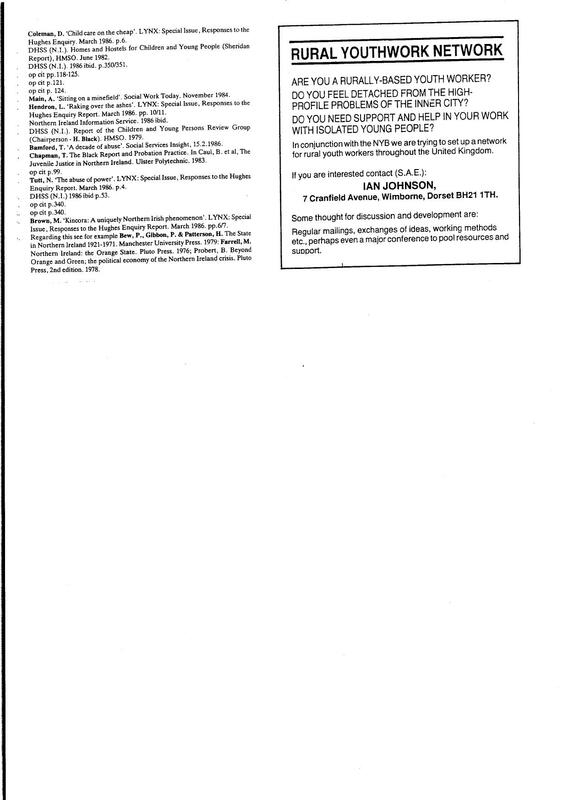 We had to pass all our relevant information on to other local authorities. 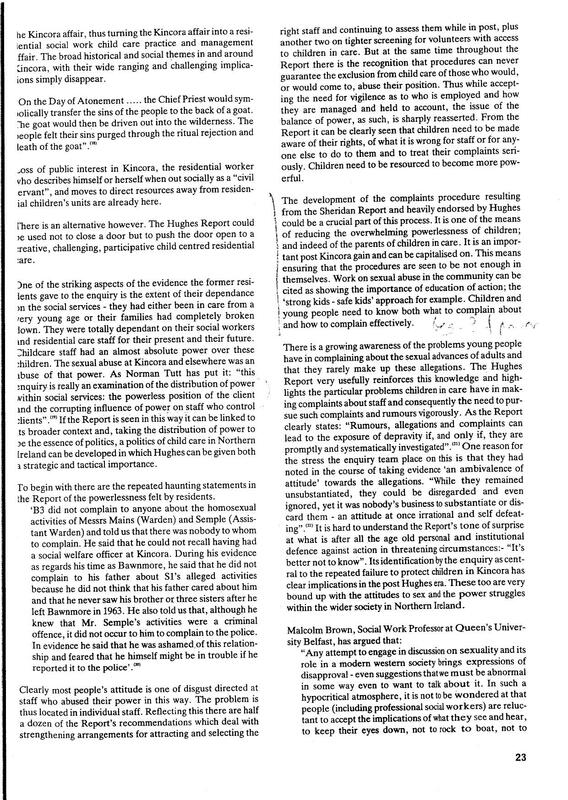 Righton in his diaries had made the task of investigation relatively straightforward. 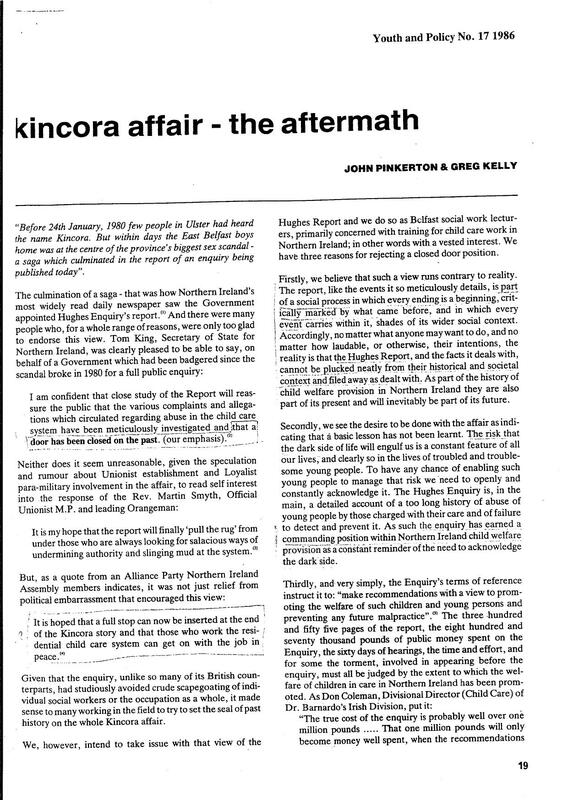 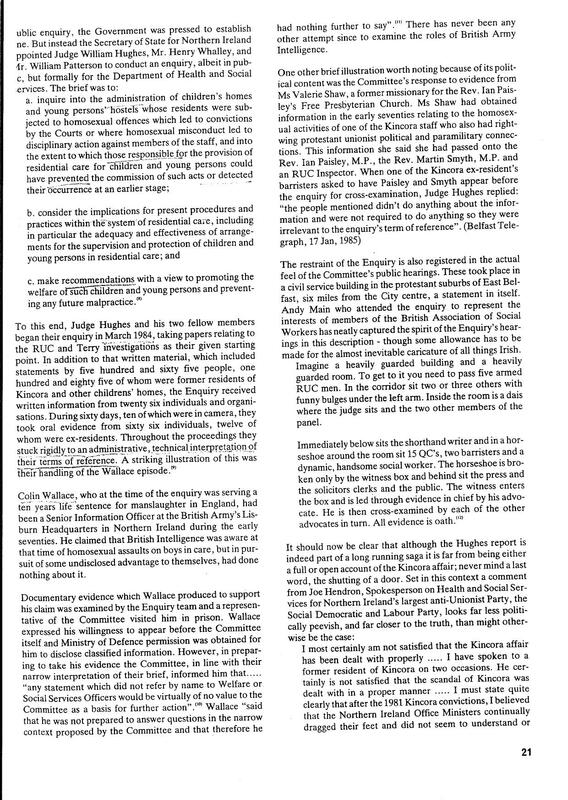 A small group of us, a very senior Police Officer, two very experienced investigative journalists and myself met with a senior Opposition Party MP in 1994 to lodge a complaint and demand action. 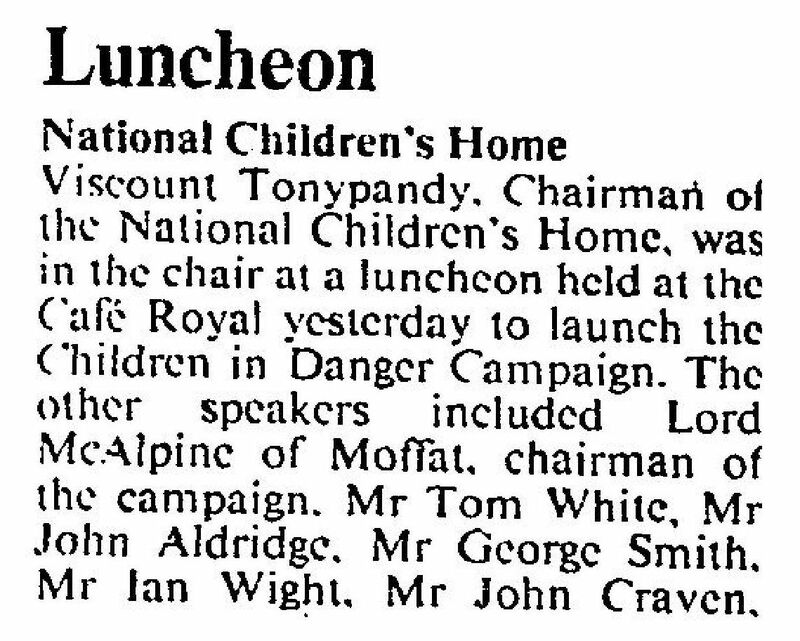 Viscount Tonypandy (formerly George Thomas MP, Speaker of the Commons) was appointed as chairman of National Children’s Home (NCH) in 1983. 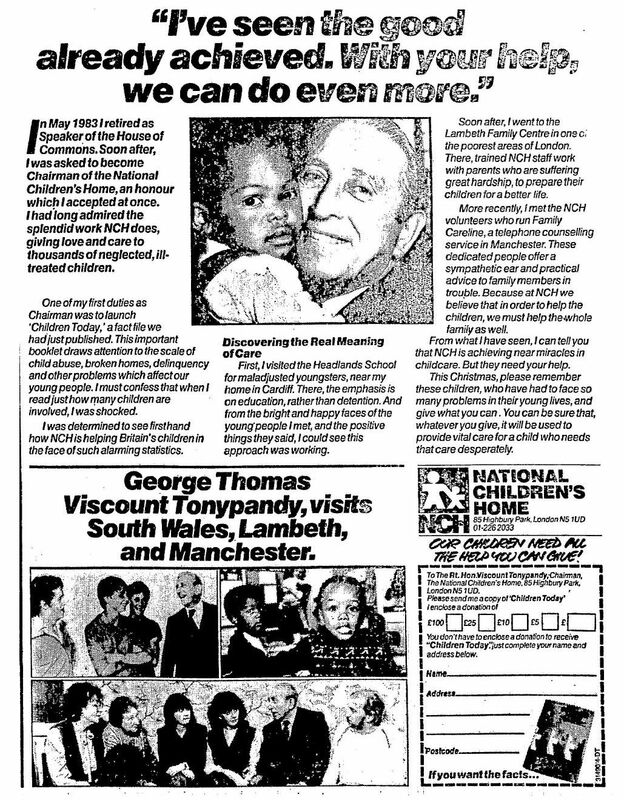 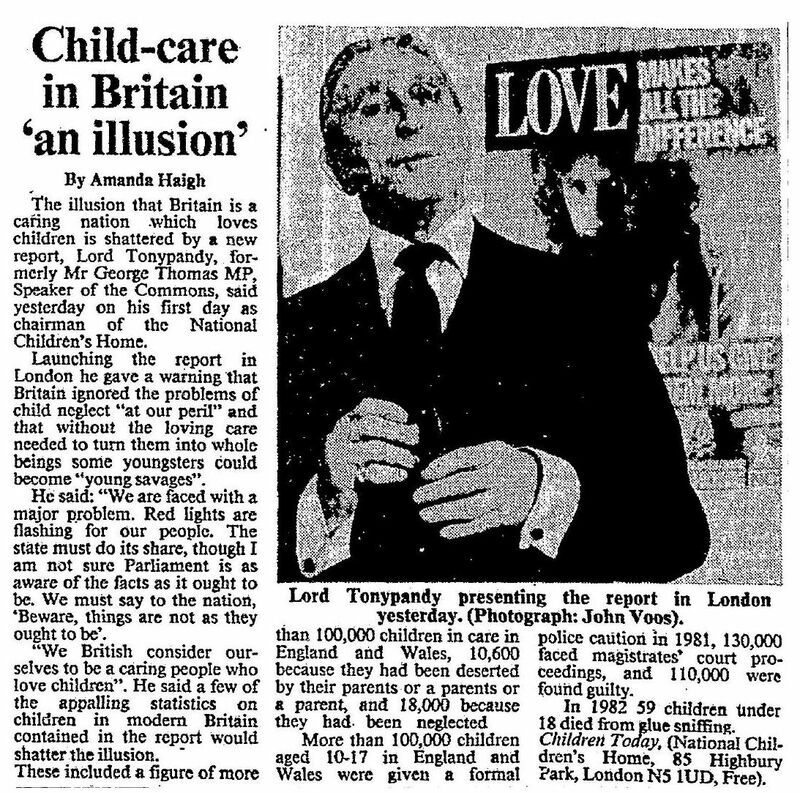 He led NCH’s ‘Children in Danger’ campaign – “to counter the effects of a continuing high level of physical and sexual abuse”, and joined a BBC radio crew looking for ‘waifs’ on the streets of Soho and Leicester Square.